Cockroaches cannot survive water deprivation for more than one month. Hence, fix all the areas of water leakage. On water deprivation, they will attract towards food sources. You can even use any bait that can kill cockroaches. Try to keep the surfaces clean especially of kitchen where the cockroaches may find any leftover food item. Try to keep the food items in the airtight sealed containers. Cover the dirty dishes if you need to wash them the next morning. Mop the floor on a regular basis. Try to discard the trash of house regularly to avoid heaping of cockroaches. 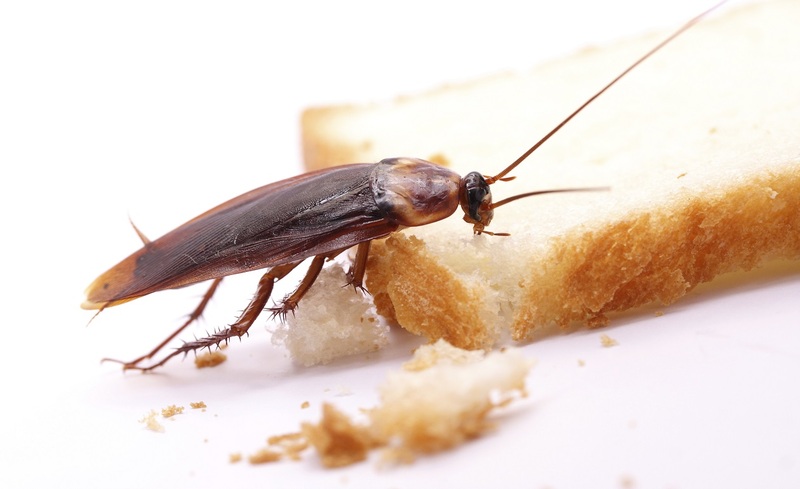 The baits that are in the market for cockroaches contain 2% Hydramethylnon and 0.5% Fipronil. Moreover, cockroaches tend to eat them and excrete the toxins in their faces. Similarly, other cockroaches in their nest will also die by these excreta containing toxins. The homemade baits are prepared by mixing cocoa, flour and boric acid in ratio 1:2:1. Try to place this mixture at places where only cockroaches can gain entry. Moreover, boric acid is slightly toxic to humans. Hence, its use should be careful. A thin solution of soap and water can serve as a better option. Only 2-3 drops will be just fine to kill an adult cockroach if the spray hits the head and abdomen area. The soapy water kills the cockroaches making a film on the breath pores thus ultimately suffocating the cockroaches. Another effective way of killing cockroaches is to use a trap. These traps are available in the stores. They have adhesives on them. Try placing them wherever cockroaches pay a visit. Cockroaches lured by food will stick to the adhesive substance on the trap. A jar filled with water lures cockroaches. Once they get inside the jar, they cannot escape out. The soda bottles when cut and filled with water and soap mixture will attract the cockroaches and will become the cause of their entrapment and ultimately death. Woodpiles and other yard wastes are a favorite place for cockroaches to reside in. Try to remove all the debris from home. Try to seal all the cracks inside the cabinets, on the floor, doors and pipes in washrooms and kitchen. Sprinkle salts or baking soda in the cabinets in order to avoid cockroaches. Mop the floor with the salty water to get rid of the cockroaches. Cockroaches can breed and transfer harmful bacteria from one place to another. Hence, dealing with them requires proper care. 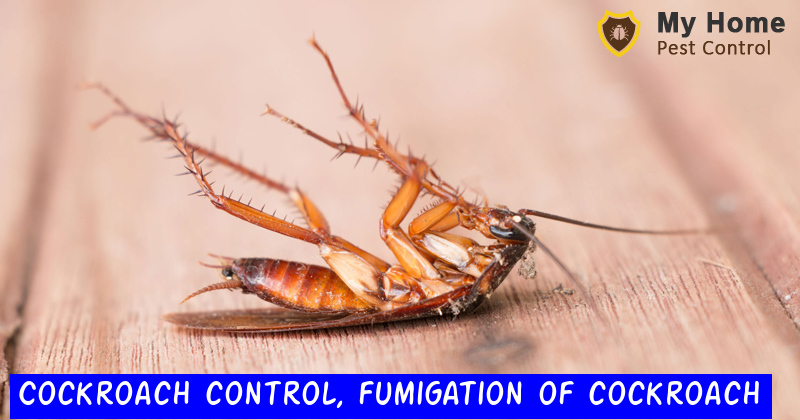 Moreover, since they tend to hide, it is difficult to get rid of them completely by using cockroach repellant sprays. The best way hence is availing professional pest control services to get rid of them in an effective manner. Professionals moreover have the skills and know-how of procedures which can make them vanish from your home. They also use the best tools and chemicals to get rid of them in a most effective manner. With the help of professional cockroach removal services, you can keep your family safe. 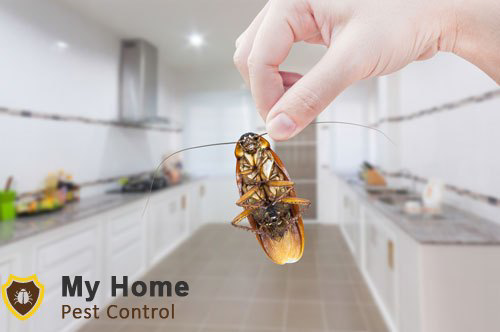 My Home Pest Control is the best company pest control company with years of experience and expertise. The staff moreover is certified and highly talented. Their skills combined with quality products they use can help you make your home 100% Cockroach free. You can avail their help anytime as they are always available to assist you, even on weekends and during public holidays. Give them a call on 1800 122 695 to avail their expert services. The company charges a very nominal fee for exceptional services on time. You also have the option of same-day pest control service. Talk to the experts and fix an appointment now!